Selling Price for a new 2019 A 250 4MATIC Hatch with Premium Package is $45,332. * Limited time lease offer provided through Mercedes-Benz Financial Services on approved credit. Representative lease example based on a new 2019 A 250 4MATIC Hatch with Premium Package. 3.49% lease APR for 45 months. Monthly payment is $559 with $999 down payment or equivalent trade-in, $650 security deposit and first monthly payment due at lease inception. $2,790 freight and PDI due on delivery. Total lease obligation is $30,885. Option to purchase at the end of the term is $22,377. 12,000 kilometre allowance per year; charge of $0.20/km for excess kilometres. Excess wear-and-tear charges may apply. 45 monthly payments required. All advertised prices and lease payments include $395 dealer administration fee, up to $55 fuel surcharge, $100 air-conditioning charge, up to $29.70 EHF tires/filters/batteries, $10 OMVIC fee and all other applicable fees and charges. Dealer may sell or lease for less. Dealer order/trade may be necessary. Offers are subject to change or cancellation without notice and cannot be combined with any other offers (except as specified herein). Offers end April 30, 2019 or while quantities last. 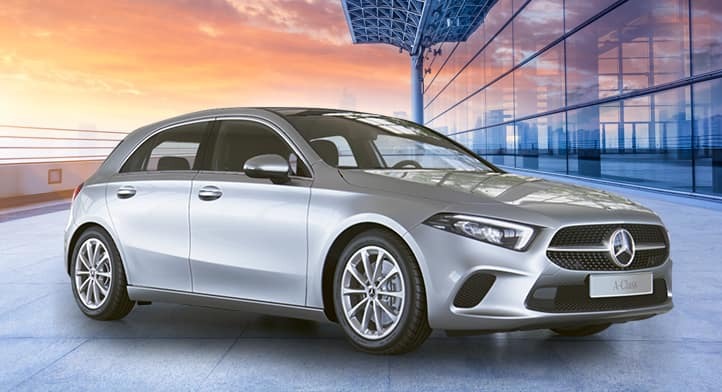 ** The “3 payments waived” offer is only available to qualified retail customers on approved credit who lease and take delivery of select new 2019 A 250 4MATIC Hatch with Premium Package models through Mercedes-Benz Financial Services (MBFS) between April 1 and 30, 2019. Mercedes-Benz Brampton will waive the first 3 monthly lease payments, up to $400/month (inclusive of taxes) for eligible leases. Customer is responsible for any and all amounts in excess of the above monthly maximum amounts (inclusive of taxes). After the first three (3) months, customers will be required to make all remaining regularly scheduled payments over the remaining term of the contract. Offer cannot be combined with any other offer. No cash value. Certain conditions apply. Selling Price for a new 2019 B 250 4MATIC Avantgarde Edition is $39,296. * Limited time lease offer provided through Mercedes-Benz Financial Services on approved credit. Representative lease example based on a new 2019 B 250 4MATIC Avantgarde Edition. 1.9% lease APR for 45 months. Monthly payment is $493 with $999 down payment or equivalent trade-in, $600 security deposit and first monthly payment due at lease inception. $2,790 freight and PDI due on delivery. Total lease obligation is $27,058. Option to purchase at the end of the term is $17,347. 12,000 kilometre allowance per year; charge of $0.20/km for excess kilometres. Excess wear-and-tear charges may apply. 45 monthly payments required. All advertised prices and lease payments include $395 dealer administration fee, up to $55 fuel surcharge, $100 air-conditioning charge, up to $29.70 EHF tires/filters/batteries, $10 OMVIC fee and all other applicable fees and charges. Dealer may sell or lease for less. Dealer order/trade may be necessary. Offers are subject to change or cancellation without notice and cannot be combined with any other offers (except as specified herein). Offers end April 30, 2019 or while quantities last. 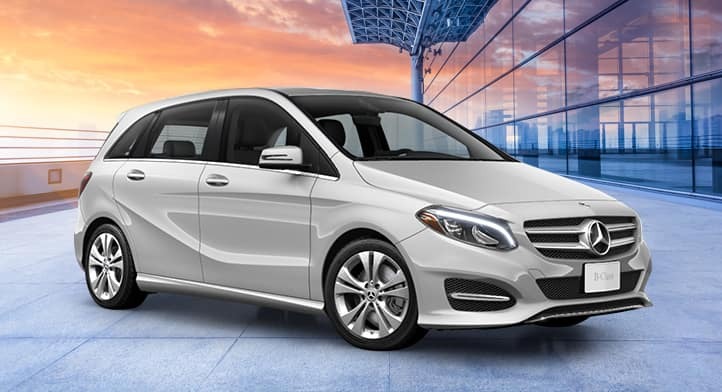 ** The “3 payments waived” offer is only available to qualified retail customers on approved credit who lease and take delivery of select new 2019 B 250 4MATIC Avantgarde Edition models through Mercedes-Benz Financial Services (MBFS) between April 1 and 30, 2019. Mercedes-Benz Brampton will waive the first 3 monthly lease payments, up to $400/month (inclusive of taxes) for eligible leases. Customer is responsible for any and all amounts in excess of the above monthly maximum amounts (inclusive of taxes). After the first three (3) months, customers will be required to make all remaining regularly scheduled payments over the remaining term of the contract. Offer cannot be combined with any other offer. No cash value. Certain conditions apply. 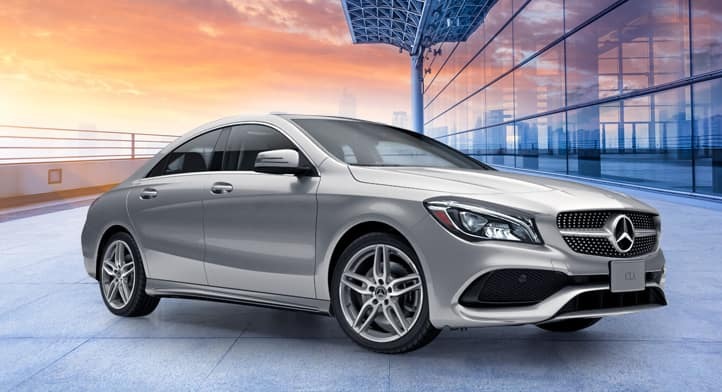 Selling Price for a new 2019 CLA 250 4MATIC Coupe Avantgarde Edition with Sport Package is $47,547. * Limited time lease offer provided through Mercedes-Benz Financial Services on approved credit. Representative lease example based on a new 2019 CLA 250 4MATIC Coupe Avantgarde Edition with Sport Package. 3.9% lease APR for 45 months. Monthly payment is $651 with $999 down payment or equivalent trade-in, $750 security deposit and first monthly payment due at lease inception. $2,790 freight and PDI due on delivery. Total lease obligation is $35,760. Option to purchase at the end of the term is $20,950. 12,000 kilometre allowance per year; charge of $0.20/km for excess kilometres. Excess wear-and-tear charges may apply. 45 monthly payments required. All advertised prices and lease payments include $395 dealer administration fee, up to $55 fuel surcharge, $100 air-conditioning charge, up to $29.70 EHF tires/filters/batteries, $10 OMVIC fee and all other applicable fees and charges. Dealer may sell or lease for less. Dealer order/trade may be necessary. Offers are subject to change or cancellation without notice and cannot be combined with any other offers (except as specified herein). Offers end April 30, 2019 or while quantities last. 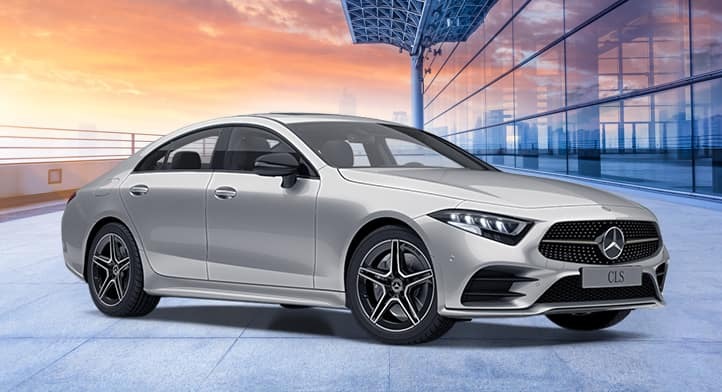 ** The “3 payments waived” offer is only available to qualified retail customers on approved credit who lease and take delivery of select new 2019 CLA 250 4MATIC Coupe Avantgarde Edition with Sport Package models through Mercedes-Benz Financial Services (MBFS) between April 1 and 30, 2019. Mercedes-Benz Brampton will waive the first 3 monthly lease payments, up to $400/month (inclusive of taxes) for eligible leases. Customer is responsible for any and all amounts in excess of the above monthly maximum amounts (inclusive of taxes). After the first three (3) months, customers will be required to make all remaining regularly scheduled payments over the remaining term of the contract. Offer cannot be combined with any other offer. No cash value. Certain conditions apply. Selling Price for a new 2019 Mercedes-AMG C43 4MATIC Cabriolet with Premium and Driver’s Packages is $84,712. * Limited time lease offer provided through Mercedes-Benz Financial Services on approved credit. Representative lease example based on a new 2019 Mercedes-AMG C43 4MATIC Cabriolet with Premium and Driver’s Packages. 3.9% lease APR for 45 months. Monthly payment is $1,099 with $999 down payment or equivalent trade-in, $1,250 security deposit and first monthly payment due at lease inception. $2,790 freight and PDI due on delivery. Total lease obligation is $58,784. Option to purchase at the end of the term is $41,984. 12,000 kilometre allowance per year; charge of $0.20/km for excess kilometres. Excess wear-and-tear charges may apply. 45 monthly payments required. All advertised prices and lease payments include $395 dealer administration fee, up to $55 fuel surcharge, $100 air-conditioning charge, up to $29.70 EHF tires/filters/batteries, $10 OMVIC fee and all other applicable fees and charges. Dealer may sell or lease for less. Dealer order/trade may be necessary. Offers are subject to change or cancellation without notice and cannot be combined with any other offers (except as specified herein). Offers end April 30, 2019 or while quantities last. 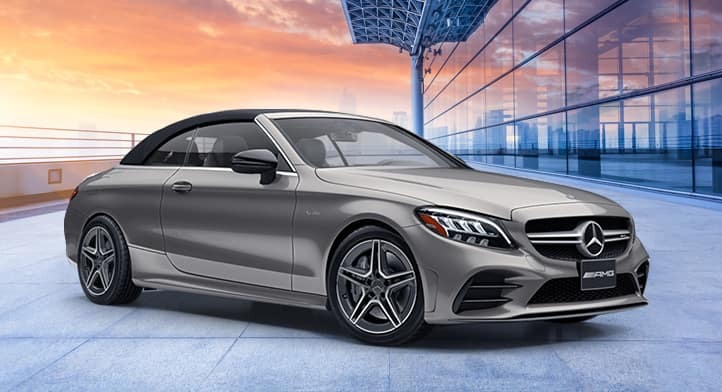 ** The “3 payments waived” offer is only available to qualified retail customers on approved credit who lease and take delivery of select new 2019 Mercedes-AMG C43 4MATIC Cabriolet with Premium and Driver’s Packages models through Mercedes-Benz Financial Services (MBFS) between April 1 and 30, 2019. Mercedes-Benz Brampton will waive the first 3 monthly lease payments, up to $450/month (inclusive of taxes) for eligible leases. Customer is responsible for any and all amounts in excess of the above monthly maximum amounts (inclusive of taxes). After the first three (3) months, customers will be required to make all remaining regularly scheduled payments over the remaining term of the contract. Offer cannot be combined with any other offer. No cash value. Certain conditions apply. Selling Price for a new 2019 E 300 4MATIC Sedan with Premium and Lighting Packages is $74,722. * Limited time lease offer provided through Mercedes-Benz Financial Services on approved credit. Representative lease example based on a 2019 E 300 4MATIC Sedan with Premium and Lighting Packages. 3.99% lease APR for 45 months. Monthly payment is $1,019 with $999 down payment or equivalent trade-in, $1,200 security deposit and first monthly payment due at lease inception. $2,790 freight and PDI due on delivery. Total lease obligation is $54,543. Option to purchase at the end of the term is $34,667. 12,000 kilometre allowance per year; charge of $0.20/km for excess kilometres. Excess wear-and-tear charges may apply. 45 monthly payments required. All advertised prices and lease payments include $395 dealer administration fee, up to $55 fuel surcharge, $100 air-conditioning charge, up to $29.70 EHF tires/filters/batteries, $10 OMVIC fee and all other applicable fees and charges. Dealer may sell or lease for less. Dealer order/trade may be necessary. Offers are subject to change or cancellation without notice and cannot be combined with any other offers (except as specified herein). Offers end April 30, 2019 or while quantities last. 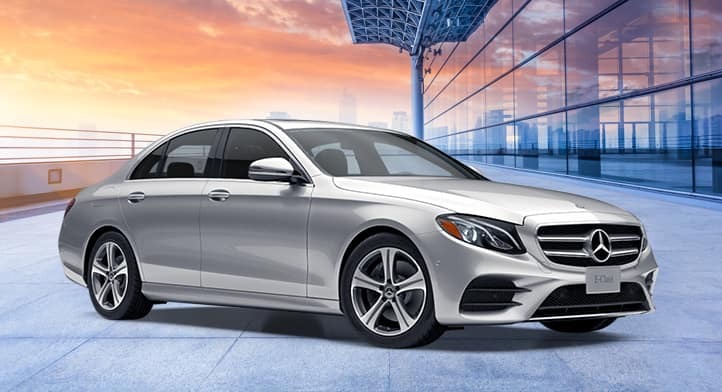 ** The “3 payments waived” offer is only available to qualified retail customers on approved credit who lease and take delivery of select new 2019 E 300 4MATIC Sedan with Premium and Lighting Packages models through Mercedes-Benz Financial Services (MBFS) between April 1 and 30, 2019. Mercedes-Benz Brampton will waive the first 3 monthly lease payments, up to $850/month (inclusive of taxes) for eligible leases. Customer is responsible for any and all amounts in excess of the above monthly maximum amounts (inclusive of taxes). After the first three (3) months, customers will be required to make all remaining regularly scheduled payments over the remaining term of the contract. Offer cannot be combined with any other offer. No cash value. Certain conditions apply. Selling Price for a new 2019 CLS 450 4MATIC Coupe with Premium and Night Packages is $98,922. * Limited time lease offer provided through Mercedes-Benz Financial Services on approved credit. Representative lease example based on a 2019 CLS 450 4MATIC Coupe with Premium and Night Packages. 4.9% lease APR for 45 months. Monthly payment is $1,468 with $999 down payment or equivalent trade-in, $1,700 security deposit and first monthly payment due at lease inception. $2,790 freight and PDI due on delivery. Total lease obligation is $67,350. Option to purchase at the end of the term is $51,273. 12,000 kilometre allowance per year; charge of $0.20/km for excess kilometres. Excess wear-and-tear charges may apply. 45 monthly payments required. All advertised prices and lease payments include $395 dealer administration fee, up to $55 fuel surcharge, $100 air-conditioning charge, up to $29.70 EHF tires/filters/batteries, $10 OMVIC fee and all other applicable fees and charges. Dealer may sell or lease for less. Dealer order/trade may be necessary. Offers are subject to change or cancellation without notice and cannot be combined with any other offers (except as specified herein). Offers end April 30, 2019 or while quantities last. Selling Price for a new 2019 GLA 250 4MATIC SUV with Premium and Sport Packages is $47,172. * Limited time lease offer provided through Mercedes-Benz Financial Services on approved credit. 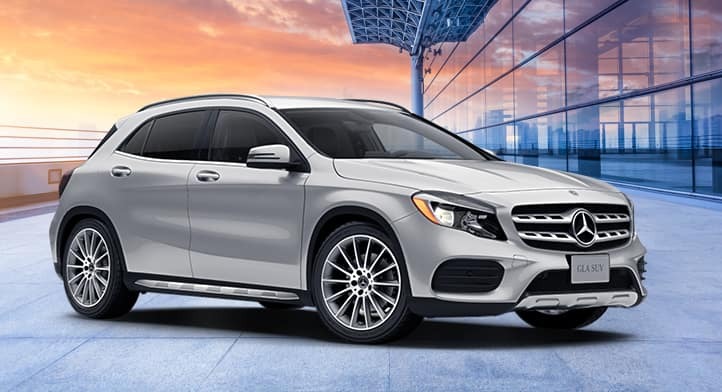 Representative lease example based on a 2019 GLA 250 4MATIC SUV with Premium and Sport Packages. 2.9% lease APR for 45 months. Monthly payment is $599 with $999 down payment or equivalent trade-in, $700 security deposit and first monthly payment due at lease inception. $2,790 freight and PDI due on delivery. Total lease obligation is $32,969. Option to purchase at the end of the term is $21,658. 12,000 kilometre allowance per year; charge of $0.20/km for excess kilometres. Excess wear-and-tear charges may apply. 45 monthly payments required. All advertised prices and lease payments include $395 dealer administration fee, up to $55 fuel surcharge, $100 air-conditioning charge, up to $29.70 EHF tires/filters/batteries, $10 OMVIC fee and all other applicable fees and charges. Dealer may sell or lease for less. Dealer order/trade may be necessary. Offers are subject to change or cancellation without notice and cannot be combined with any other offers (except as specified herein). Offers end April 30, 2019 or while quantities last. ** The “3 payments waived” offer is only available to qualified retail customers on approved credit who lease and take delivery of select new 2019 GLA 250 4MATIC SUV with Premium and Sport Packages models through Mercedes-Benz Financial Services (MBFS) between April 1 and 30, 2019. Mercedes-Benz Brampton will waive the first 3 monthly lease payments, up to $400/month (inclusive of taxes) for eligible leases. Customer is responsible for any and all amounts in excess of the above monthly maximum amounts (inclusive of taxes). After the first three (3) months, customers will be required to make all remaining regularly scheduled payments over the remaining term of the contract. Offer cannot be combined with any other offer. No cash value. Certain conditions apply. Selling Price for a new 2019 GLC 300 4MATIC SUV is $50,162. * Limited time lease offer provided through Mercedes-Benz Financial Services on approved credit. Representative lease example based on a 2019 GLC 300 4MATIC SUV. 3.99% lease APR for 45 months. Monthly payment is $661 with $999 down payment or equivalent trade-in, $750 security deposit and first monthly payment due at lease inception. $2,790 freight and PDI due on delivery. Total lease obligation is $36,278. Option to purchase at the end of the term is $23,613. 12,000 kilometre allowance per year; charge of $0.20/km for excess kilometres. Excess wear-and-tear charges may apply. 45 monthly payments required. All advertised prices and lease payments include $395 dealer administration fee, up to $55 fuel surcharge, $100 air-conditioning charge, up to $29.70 EHF tires/filters/batteries, $10 OMVIC fee and all other applicable fees and charges. Dealer may sell or lease for less. Dealer order/trade may be necessary. Offers are subject to change or cancellation without notice and cannot be combined with any other offers (except as specified herein). Offers end April 30, 2019 or while quantities last. 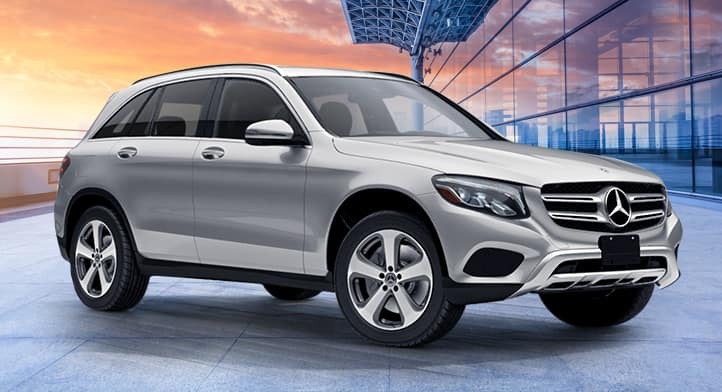 ** The “3 payments waived” offer is only available to qualified retail customers on approved credit who lease and take delivery of select new 2019 GLC 300 4MATIC SUV models through Mercedes-Benz Financial Services (MBFS) between April 1 and 30, 2019. Mercedes-Benz Brampton will waive the first 3 monthly lease payments, up to $550/month (inclusive of taxes) for eligible leases. Customer is responsible for any and all amounts in excess of the above monthly maximum amounts (inclusive of taxes). After the first three (3) months, customers will be required to make all remaining regularly scheduled payments over the remaining term of the contract. Offer cannot be combined with any other offer. No cash value. Certain conditions apply. 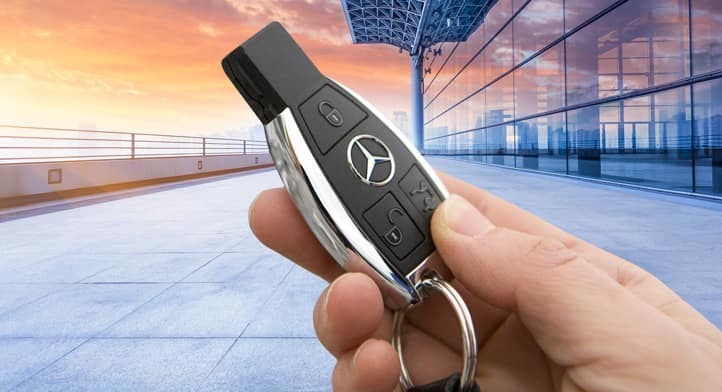 if you are currently leasing or financing a vehicle with Mercedes-Benz Financial Services. *Limited time offer provided through Mercedes-Benz Financial Services on approved credit to qualified customers who currently lease or finance a vehicle through Mercedes-Benz Financial Services. Up to 2% rate reduction is available on new 2019 Mercedes-Benz models leased and delivered by April 30, 2019. Eligible customers will receive a 2% reduction off lease rates currently available through Mercedes-Benz Financial Services to a minimum of 0% APR. Under no circumstances can rates be reduced below 0% APR. Offer is subject to change or cancellation without notice and cannot be combined with any other offers. See Mercedes-Benz Brampton for details.